During the month of June within the year of 2016, British Prime minister David Cameron did something that not many people outside of England thought was a very good idea, in fact, many people still think that what David Cameron did was a massive mistake. In June 2016 and the months building up to July, David Cameron suggested a referendum vote on a British exit from the European Union. Recently, we saw something similar with President Donald Trump leaving the Paris accord, however when David Cameron suggested that Britain leave the EU, the country was required to vote for the change, unlike their American counterparts. The British exit from the European Union is more commonly known as Brexit. Brexit was a historical vote that 52% of the British population voted for to allow Britain to leave the European Union. It was a pivotal moment in UK history as they had voted for their independence and for the first time in the United Kingdom’s history, voted to become an independent country. It was also a big moment within the global financial community as it was the first time that the pound fell to the lowest it had been since 1985. This, of course, created mass panic. Prime Minister David Cameron resigned and Britain lost its AAA credit rating. After David Cameron resigned, Theresa May was elected into office as Prime Minister and when approached with the question of Brexit, Prime Minister May decided to envoke Article 50 at the end of March 2017. Article 50 allows steps to be taken to ensure that at the end of a 2 year time period, Britain will have left the EU and hopefully negotiated a new trade deal with Europe and set up new immigration laws. 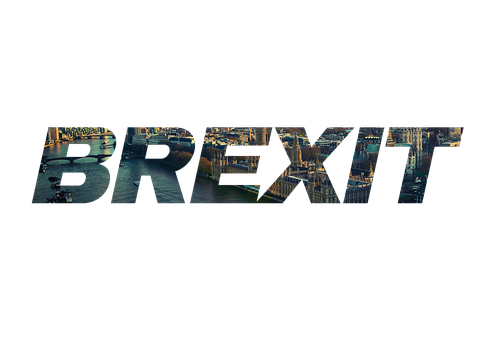 After the UK’s latest general election, Brexit and whether it was still happening was thrown into a massive cloud of confusion. The reason behind this is that Prime Minister Theresa May’s party the Conservatives lost their majority vote in the June elections. This resulted in what we call a “hung” parliament, meaning that because no party had the majority vote, every vote that goes through parliament has a stronger chance of being defeated should the other political parties not support it. In some cases, this is not a bad situation to be in, as if you have a corrupt bill being suggested then a hung parliament can be the only thing stopping the bill from being passed. However, in terms of Brexit, a hung parliament is not such a good thing. The main reason behind this is that a lot of people in Parliament actually don’t agree with Brexit and would have rather seen that Britain stayed within the EU. This is still not stopping Theresa May, as she is still pushing for Brexit to happen and in July 2017 she facilitated the second round of Brexit talks, where she stated that when Britain left the EU she would allow citizens that were members of the EU to stay within UK borders. What are the first steps that Britain must take? The first thing the British government will have to sort out is the trading relationship it will have with the EU. According to the EU, these negotiations can only begin once the UK has agreed the amount of money that it will pay to the EU in a so-called ‘divorce bill’. Another thing the UK is going to have to sort out is the problem of the Irish border, as there is currently no hard border between Northern Ireland (part of the UK) and Southern Ireland (part of Europe). This issue could be very significant given the history of violence between the two sides. What will happen to the Economy? The UK will go into a recession and global stock markets will take a massive hit. Global stock markets will get stronger as new trade deals with Britain will be possible. How this plays out remains to be seen, but it’s encouraging that we are already seeing countries lining up to trade with Britain including the US, whose president has stated that a trade deal with the UK is at the top of his list of priorities.